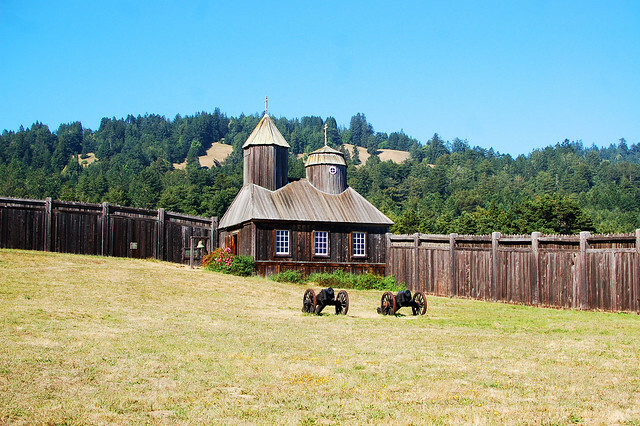 On September 22, 1817, the Indian chiefs, Chu-gu-an, Amat-tan, Gem-le-le and others, appeared at Fort Ross by invitation. Their greeting, as translated, extended their thanks for the invitation. Captain Lieutenant Hagemeister expressed gratitude to them in the name of the Russian-American Company for ceding to the Company land for a fort, buildings and enterprises, in regions belonging to Chu-gu-an, [land] which the inhabitants call Med-eny-ny. [Hagemeister] said he hoped they would not have reason to regret having the Russians as neighbors. After the hospitality, when [the Indians] departed from the fort, a one-gun salute was fired in honor of the chief Toion.